Columbia PicturesOfficer Blart is here to have some fun…in VEGAS! 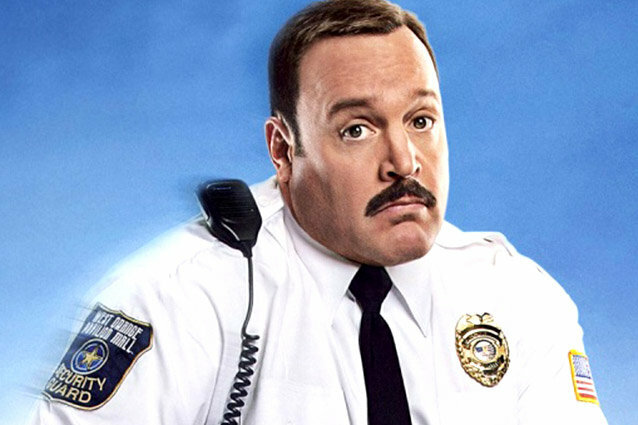 Paul Blart: Mall Cop 2 is finally here, six years after the first film. To get ready for this sequel, we’ve got some fun facts you need to read before you see the film. Columbia Pictures/tumblr.comAfter six years of keeping our malls safe, Paul Blart has earned a well-deserved vacation. He headed to Vegas with his teenage daughter before she heads off to college. But safety never takes a holiday and when duty calls, Blart answers. 1. Paul Blart: Mall Cop 2 was filmed at Wynn Las Vagas in Nevada. This is the first film to ever be shot at any Wynn property and it was personally approved by Steve Wynn. 2. You can expect the stakes be to raised a lot more for Paul Blart. In this film, Kevin James said that they really reached more for Blart’s character. Hence that seen where he’s ziplining off a building. 3. The film features two Disney Channel Stars. When Paul Blart: Mall Cop was released in 2009, David Henrie, who plays Lane, was still on Wizards of Waverly Place on Disney Channel. Raini Rodriguez, who plays Blart’s daughter Maya, has been on Austin and Ally on Disney since 2011. Lane is going to play Maya’s love interest in the film. 4. Blart is a single man in this movie. Sadly, Jayma Mays could not reprise her role for this sequel due to her obligations on Glee. 5. Oh, and if you buy a Red Robin gift card, you can go see Paul Blart: Mall Cop 2 for FREE! Many other restaurant chains have partnered with movies and offer a dinner and a movie deal, but no one has gone as far as giving you a FREE movie ticket. Get a FREE movie ticket with your purchase of a Red Robin Gift Card! See Paul Blart: Mall Cop 2 in theaters 4/17. Brought to you by Red Robin.